Add a stylish finishing touch to your outfit with this leatherette front belt. 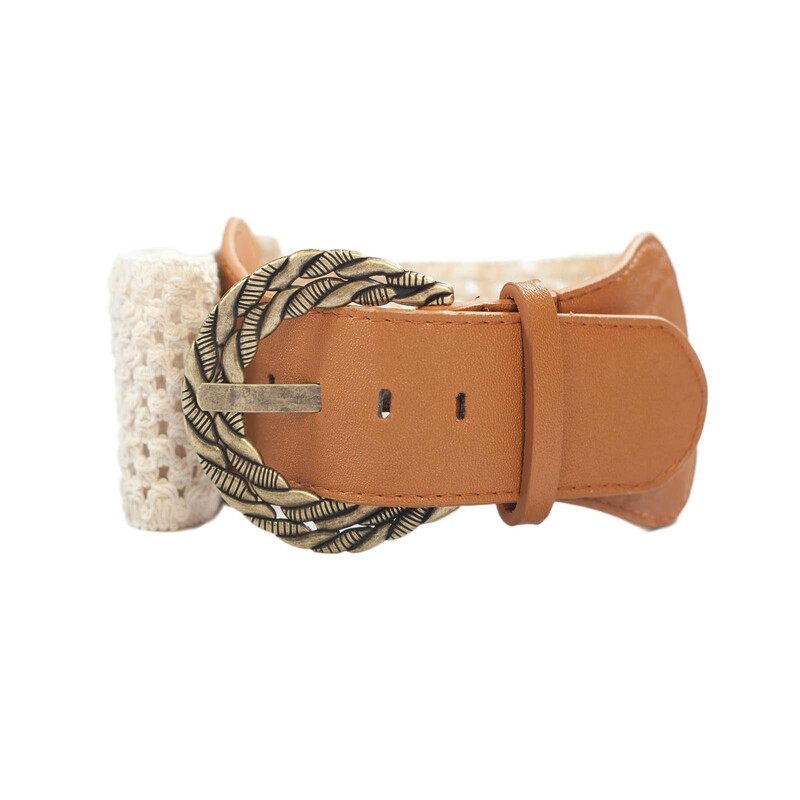 Plus size belt features a burnished metal buckle with traditional belt buckle closure. Gorgeous Ivory woven, knit, stretchy elastic back. One size fits all. This stretchy elastic belt will accommodate 36"-46" waist line. Put it over one of our halter or tee tops to give it that extra kick to your whole outfit. Gorgeous plus-size belt will make any outfit unique. Waist - 36" to 46"
THIS BELT WAS REALLY NICE AND STRETCHY AND TRUE TO SIZE. THE TAN COLOR ON THE FAUX LEATHER PART IS A NICE COLOR AND ALITTLE DARKER THAN THE PICTURE. OVER ALL I LIKED IT.